If you're familiar with Dermalogica (which most of us are), then you will probably have seen little green banners with the word 'FITE' on some of their products. FITE stands for Financial Independence Through Entrepreneurship and provides women entrepreneurs access to small loans that will help them start or grow a business. As little as $200 can go a long way to helping a woman establish a business. Research has shown that a large portion of the income that a woman makes is funnelled back into the community, so in essence, these donations contribute to underprivileged communities as a whole. Dermalogica is doing away with the complicated codes and signup process that came with the old FITE products, and are now instead simply asking you to direct their donations towards your entrepreneur of choice - no donations necessary! 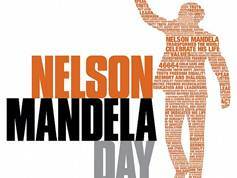 In conjunction with Nelson Mandela day, Dermalogica is hoping to direct 670 joinFITE loans. Visit www.joinFite.org/mandeladay to direct a loan to a woman entrepreneur, then if you want, you can share your action on Facebook or Twitter, and spread the word! This requires no donations, and only a few minutes of your time. Join a good cause?